DPAA , the leading global organization for everything digital out-of-home, announced this week that Starlite Digital  has joined its membership ranks. Starlite Digital has begun rolling out what will be a national network of intelligent digital video screens strategically located at high traffic outdoor shopping centers , anchored with supermarkets, big box retailers and drug stores. Capitalizing on the close relationships built with these sectors by Starlite Digital’s sister company, Starlite Media, Starlite Digital’s market launch was in New York, where the channel is generating more than 40 million verified monthly impressions. Starlite Digital is a sister company of Starlite Media, a privately held, out-of-home signage solutions and Shopper Marketing company with over 6,000 large format static signs strategically located at high traffic outdoor shopping centers, anchored with supermarkets, big box retailers, and drug stores. With a focus on digital transformation that is now underway, Starlite Digital is already delivering over 40 million monthly impressions, and on the path to over 1 billion. Digital and static clients include CPG, retail, financial, telecom, entertainment and local products and services. 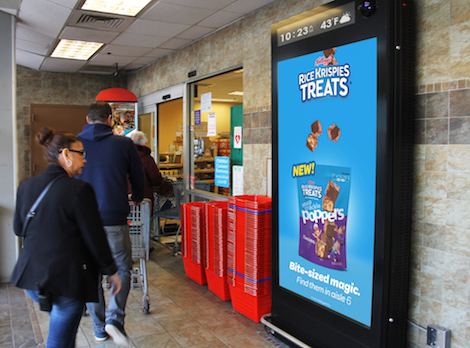 Starlite Digital has also partnered with major retailers and tech leaders in advancing AI’s application in the DOOH world, and advancements will be made public after appropriate testing. AI will be critical to making DOOH more effective.